Call me muscle-biased. Call me a patriot. Call me, Chris Evans. Seriously. I’ll answer. We’ll go out. Everyone loves a good underdog-turned-hero-to-beat-incredible-odds story. It’s The Last Starfighter (my favorite 80’s film). It’s Frodo with the ring. It’s The Rocketeer. And it should be, as it’s made by the same director. Check out Joe Johnston‘s lovely list on IMDB.com. From The Ewok Adventure to Honey I Shrunk the Kids to Young Indy to October Sky. I’ve been blindly enjoying his work my whole life. Feed me a good story and I’m satisfied. 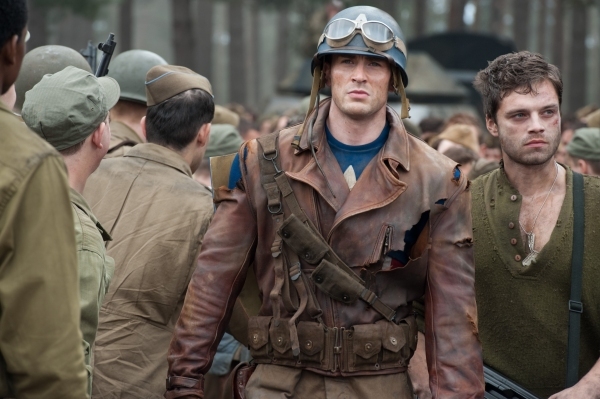 Captain America feels like a complete story. Hero fights bad guy (Hugo Weaving…deep curtsy to the Matrix & its Mr. Smith). Hero loses again and again, then wins, saves lives, loves, makes bad decisions, makes good decisions, and wins at last. I love twists in film, and I the end of this one was no exception. 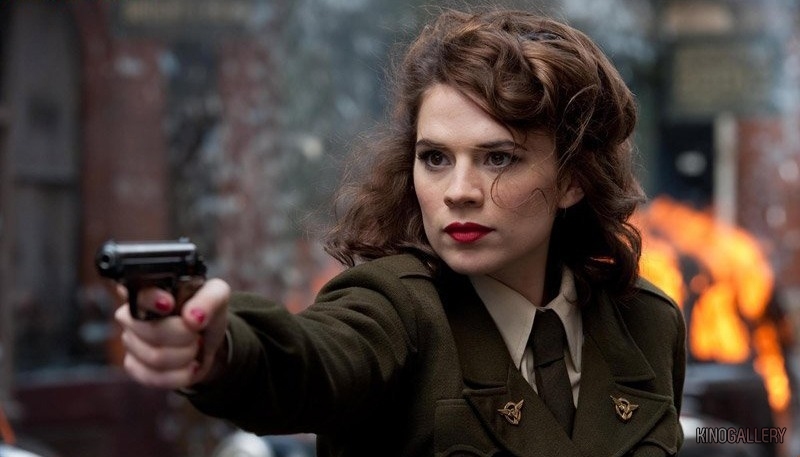 Shield-toting, war-bond selling, enlisted man reignites the swing years with his British female counterpart, Hayley Atwell. Okay, yes, it has a bit of an every movie feel, and you can guess what is coming next. But what’s wrong with that? Pin it up against one cowboy and alien film that I won’t name, and it’s a masterpiece. I really didn’t expect to enjoy this one. It felt to hyped, too far down in a long a line up of comic book action films. But, I loved it. I left feeling like I’d actually seen a movie – the kind we used to wish was playing. Dare to love a hero again. 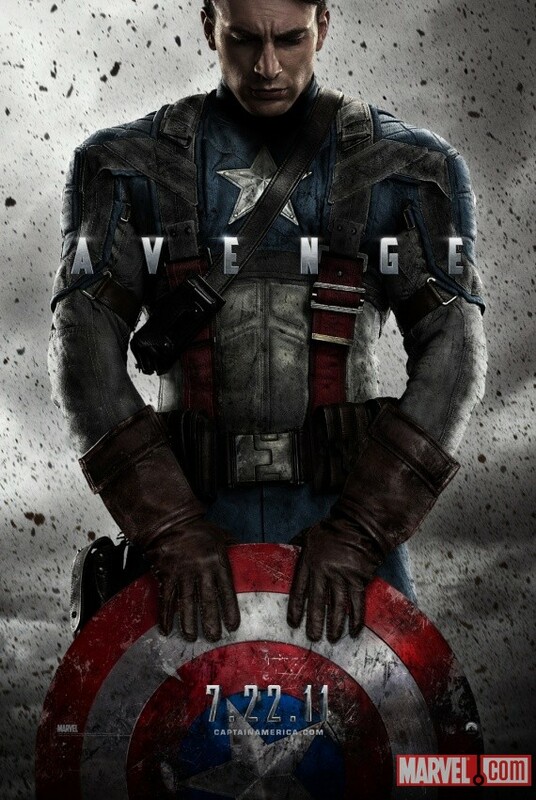 I love you, Captain America. You are f-ing brilliant. I love your writing style – your wit. When you are famous, I will say, “I knew her!” – Way to go girl. Thank you beautiful Deanne! Thanks for the encouragement! I miss you!